A common misconception is that a Chapter 13 bankruptcy discharge is issued when a plan of reorganization is confirmed by the court. The discharge, however, is not issued until the debtor has completed payments and complied with all obligations under the chapter 13 bankruptcy plan. Sometimes this delay can cause problems because the discharge will not be issued until the very end of a case, which is typically five years in length. A plan may be shorter depending upon the particular case, but a 60 month or five year plan is the most common. The time between the filing of a Chapter 13 case and the confirmation is much shorter, typically about 4 to 6 months depending on the case. The Chapter 13 discharge is broader than the discharge in Chapter 7. A Chapter 13 Discharge operates to discharge all debts provided for in the plan or disallowed under Bankruptcy Code §502. The only types of debt that survive discharge in a Chapter 13 are as follows: (a) domestic support obligations, (b) certain §523(a) debts (but not all of such debts), (c) trust fund taxes, (d) criminal fines and restitution, (e) civil restitution or damages awarded for certain types of willful or malicious injury, and (f) certain long-term debts that the plan purports to pay out after the plan survive the chapter 13 discharge. The Chapter 13 also serves to discharge creditors that do not file proofs of claim in a case. Thus, even where a debt is valid if the creditor fails to file a proof of claim by the bar date set by the court for creditors, the debt will be wiped out. Of course, in addition to the broader discharge, chapter 13 bankruptcy provides many other benefits, including: (a) the ability to cure mortgage arrearages and prevent of foreclosure; (b) the payment of priority/non-dischargeable tax obligations through the plan over up to five years or 60 months without incurring post-petition interest; (c) capping the payment to secured creditors on their secured claims at the plan confirmation value of property, allowing the debtor to benefit from post-confirmation appreciation on that property; (e) stripping off secured claims on second and third or junior mortgage liens and making them general unsecured claims; (f) the retention by the debtor of certain tax attributes generally lost in a chapter 7 or 11 filing; and (g) paying a lower percentage to unsecured creditors even where your income is above the applicable median income level in your State. Furthermore, a chapter 13 debtor failing to complete payments under the chapter 13 bankruptcy plan for reasons beyond that debtor's control may still be granted a “hardship” discharge under §1328(b). In order to obtain a hardship discharge a debtor must show: (1) the creditors have received as much under the plan as they would have under a chapter 7 case after a liquidation analysis; (2) the debtor's failure to complete payments is due to circumstances beyond the debtor’s control for which the debtor cannot justly be held accountable; and (3) modification of the plan is not a practical alternative. This type of discharge works like a chapter 7 discharge granted in a chapter 13 case. Thus, all debts non-dischargeable under §523(a) that could have been discharged pursuant to completion of the chapter 13 plan will remain in full force and effect, just as in a chapter 7 case. It must be noted that a Chapter 13 hardship discharge is extremely rare. 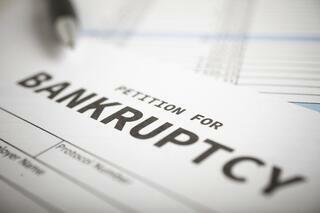 If you are in New Jersey, Chapter 13 bankruptcy may be a viable option for you. Contact one of our lawyers today for a free initial consultation. We have offices in Wayne and Hoboken, New Jersey, to serve you better.